Is there anyone who doesn’t love strawberry shortcake? It is one of my favorite desserts during late spring and summer. Fresh berries piled high on a shortcake bread and some whipped cream or vanilla ice cream to top it all off. If you are anything like me, sometimes you have the strawberries and the whipped cream, but you don’t have the time to make the shortcake. 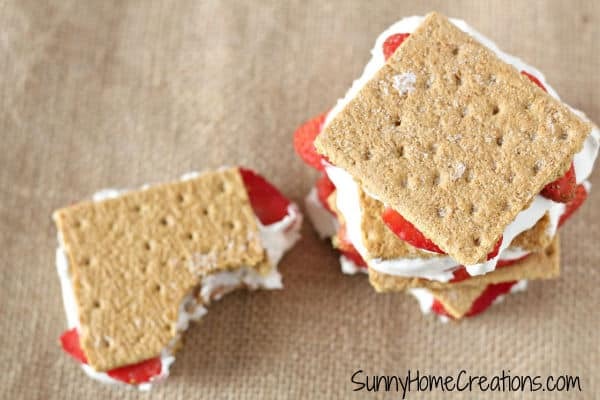 Lucky for you, I have a tasty alternative – strawberry shortcake crackers! This is actually like a strawberry shortcake mixed with a s’more and it’s delicious! Look at these – don’t they look tasty? One of the best parts of these is how easy the recipe is. 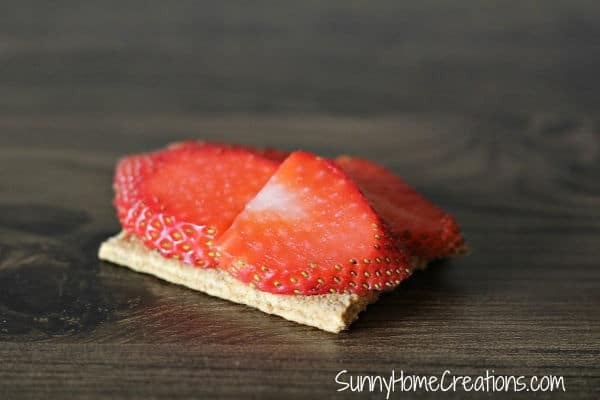 Here is a super simple recipe for strawberry shortcake crackers. 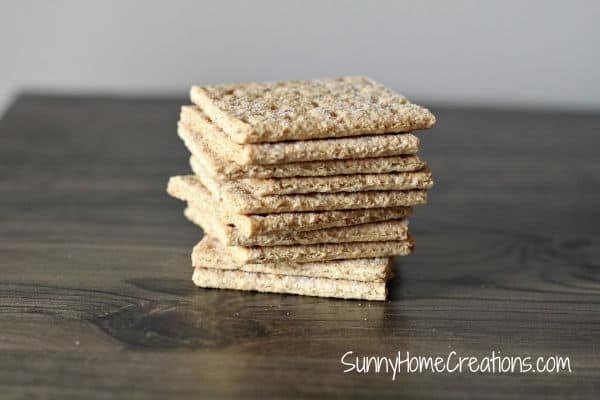 Start by breaking or cutting each graham cracker along the perforated line in half. Now you want to slice the strawberries. Try to make them really thin. 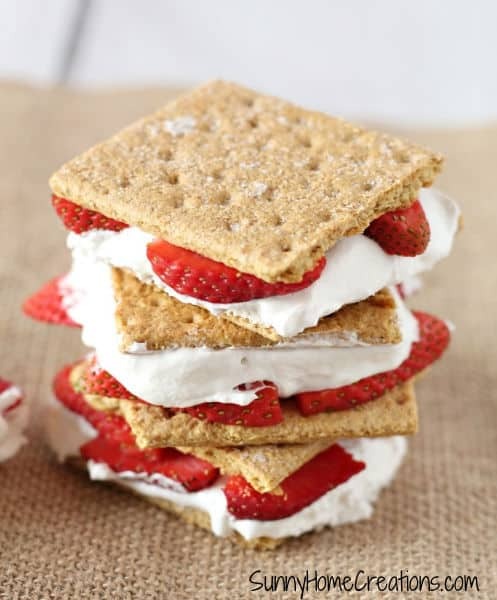 Take a graham cracker and place about 4 of the sliced strawberries on top, then add some whipped cream or about 1 and 1/2 tablespoons of cool whip onto the other graham cracker half. Now put the two sides together. 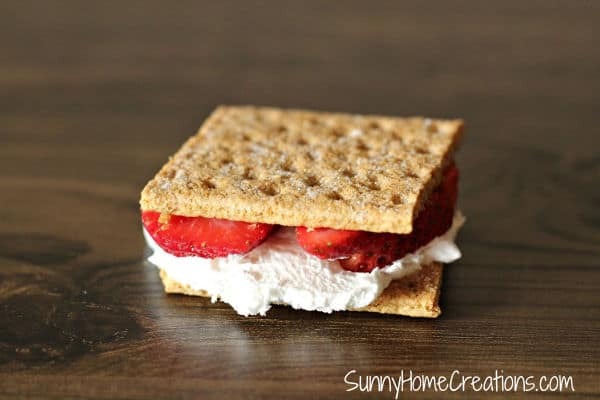 This part is probably going to surprise you, but you are going to put this strawberry shortcake cracker into the freezer. Freeze it for about 2-3 hours. Next, take them out and enjoy!